A new Which Wich location will be opening on West Magnolia Avenue in downtown Auburn later this month. This will mark the second Which Wich location opened in the Auburn-Opelika area by the brother-and-sister team of Jeff Glasscock and Robin Rudder. The duo opened their first storefront in Tiger Town last fall. Both are Auburn natives, and said that opening their second Which Wich is location is the realization of a longtime dream. “Our dad taught both of us to cook, so food has always been big for us. We talked about doing this for a long time and we’re finally getting to it,” Glasscock added. Finding an available space in downtown Auburn took longer than expected, prompting both to jump at the opportunity to open their first shop in Tiger Town last fall, which has been warmly received in Opelika. The new shop in downtown Auburn will be located in the former home of Chill within the Legends of Magnolia complex. Construction and work on the new shop is nearly finished, and both said they expect the shop to be open for business in late October. 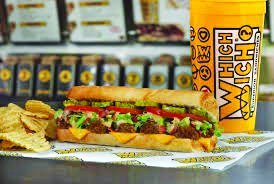 Which Wich, founded by Jeff Sinelli, was started in downtown Dallas in 2003. The company is known for its novel ordering system, which allows customers to use red Sharpie markers to fill in their order through pre-printed menus on paper sandwich bags. In addition to its regular sandwiches and subs, Which Wich also has options for gluten-free, vegan and vegetarian customers. As of December 2016, the company has 404 location in 36 states with a presence in more than 27 countries worldwide. It is presently expanding into the United Kingdom. For more information, visit whichwich.com. The new shop’s address will be 234 Suite B on W. Magnolia Ave.